1. Assembly Speaker Robin Vos (R-Burlington) seems to display astonishing selective amnesia about why the Wisconsin Government Accountability Board was created as a non-partisan and independent state agency in 2007 to oversea the state's election, campaign finance, lobbying and ethics laws. Vos was elected to the Assembly in 2004, two years after the Legislative Caucus Scandal had erupted and brought down the top Democratic State Senate and Republican Assembly leaders (including Assistant Majority Leader Bonnie Ladwig who preceded Vos and had been his boss). That scandal was the impetus behind the creation of the G.A.B. because the State Elections Board and the State Ethics Board had utterly failed to investigate and uncover the unfolding corruption that was occurring under the Capitol dome for years before five top Democratic and Republican legislative leaders were criminally charged with felony and misdemeanor misconduct in public office in 2002. Retiring State Senator Mike Ellis (R-Neenah) devised the idea of establishing a non-partisan and independent agency to oversee elections, campaign finance, lobbying and ethics in the wake of the Caucus Scandal and CC/WI worked closely with him and other legislators to construct the legislation which passed with the votes of every Republican legislator in a Special Session in early 2007, including the vote of Vos and of State Senate Majority Leader Scott Fitzgerald (R-Juneau) who has also said he wants to dismantle the G.A.B. Why the change of heart by Vos and Fitzgerald? It turns out that legislative leaders want absolute power and don't like non-partisan, independent entities making decisions the leaders haven't approved of first. Vos, in particular, seems to really have a problem with an independent G.A.B. and its able and respected executive director, Kevin Kennedy, who has led the G.A.B. since its inception and who, for nearly 30 years prior to establishment of the G.A.B., had directed the partisan State Elections Board in a professional, non-partisan manner. CC/WI weighed in against the Vos assault on G.A.B in this article that has appeared in many daily newspapers across the state. CC/WI Director Jay Heck also discussed this matter at length in this recent radio broadcast. CC/WI and others who value a non-partisan, independent G.A.B will be making a lot more noise about this in the weeks ahead before Vos and Fitzgerald move to destroy it next year. 2. Another reform that the citizens of Wisconsin sorely need and that Vos and Fitzgerald have thus far resisted and ignored is non-partisan redistricting reform based on what Iowa enacted into law in 1980. 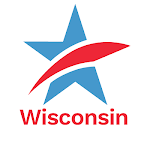 Throughout the 2013-2014 legislative session, CC/WI led the statewide effort in support of Senate Bill 163 and Assembly Bill 185, identical legislative measures which garnered the editorial support of an unprecedented 19 daily Wisconsin newspaper editorial boards and a significant number of legislators. We have been talking to legislators about ensuring that identical legislation will be introduced in early 2015. During the 2014 election season, CC/WI asked candidates who supported non-partisan redistricting reform to contact us and let us know of their support and many did. Here is a listing of those supporters who were elected on November 4th and who will be serving in the 2015-2016 Wisconsin Legislature (as well as those State Senators who support this reform but who were not up for election this year). 3. In 2012, State Rep. Mandy Wright was narrowly elected in what is one of just a handful of competitive state legislative districts left in Wisconsin after the hyper-partisan, secretive and expensive (to taxpayers) 2011 redistricting gerrymander. In 2014, the election was expected to be close again and it was – Wright lost to Republican Dave Heaton by 86 votes. But the vote tally doesn't tell the whole story. A deluge of outside special interest money, most of it secret, poured into Wausau during the final weeks of the campaign attacking Wright. By some estimates, the figure could be as high as $250,000. Less than $100 was spent in Wright's behalf by outside groups. Heaton also received a surge of late money for his own campaign. Total spending in this single Assembly election approached $500,000 with Wright being outspent by more than a 3 to 1 margin. An Assembly district in Wisconsin contains less than 60,000 citizens. 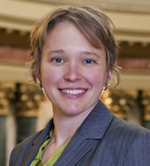 Last week, we invited Mandy Wright to come before the CC/WI State Governing Board meeting in the Capitol to tell us what happened and what, if any lessons, could be learned from this onslaught of outside special interest money in this Assembly election. Wisconsin Eye filmed her appearance and you can view and/or listen to it here. 4. Thanksgiving is one of our favorite holidays because it gives CC/WI an opportunity to thank all of the many good citizens, members of the media and elected officials who support honest, accountable and transparent state government and politics, and who have honored CC/WI with their support and encouragement. So to all of you – as well as to all those who may disagree with us but who still want what is best for Wisconsin – the State Governing Board and staff of Common Cause in Wisconsin wish you a very happy and healthy Thanksgiving! 1. You do not need to bring an ID of any kind to the polls if you are currently registered to vote at your polling place! So do not let anyone tell you otherwise. Go vote! 2. Make sure you know where your polling place is. Perhaps the location has been moved since the last time you voted? Perhaps not. Go here to check and make sure! 3. Again, NO PHOTO ID IS NEEDED TO VOTE TODAY if you are currently registered to vote. 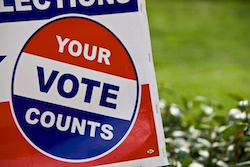 If you are not currently registered to vote, you can easily do so at your polling place. You will need to bring: a document – either hard copy or electronic (on your cellphone/tablet/laptop) – that proves you live within your voting district (e.g., a recent utility bill, bank statement, pay stub) and either the number and expiration date of your Wisconsin driver's license or Wisconsin DOT-issued ID card or the last four digits of your social security number (only if you don't have a WI license/ID card). 4. 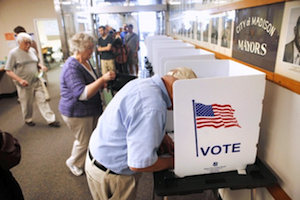 If you need a free ride to your polling place, CC/WI has compiled a statewide listing of who you can contact to help you get to your polling place. 5. If you arrive at the polls and are asked to show photo ID, encounter other problems or have questions, call 1-866-OUR-VOTE. Jay Heck - Executive Director for Common Cause Wisconsin talks about Speaker Vos' Opposition to the WI G.A.B.